As I travel along on this journey of educating myself on and advocating for education policy, I come into contact with quite a few politicians. The ones who I would count as friends of public education are usually pretty rare. In Tennessee, we are fortunate to have Representatives Craig Fitzhugh, Bo Mitchell, Joe Pitts, Mike Stewart, and a handful of others. We used to have Gloria Johnson, but she was a little too liberal. (Psst… we miss her). For the most part, what you get from politicians is the same old, same old platitudes and promises like “A quality school for every child no matter what the zip code” and “I promise every child a quality teacher.” But every once in a while, you get surprised. Nashville is currently in the midst of a mayoral battle. The crop running have all established education as a priority. All, save one, have decried the sordid state of affairs that is Nashville public education. David Fox, for example, has said we need more charter schools. Megan Berry argues for the middle ground but doesn’t exactly embrace the work done at our public schools. Then you have former LEAD Public Schools founder Jeremy Kane, who says education is important but is a little vague on what that looks like. Bill Freeman has offered praise of our public schools, and in looking at his policy piece on education, I am guardedly optimistic. The rest of the field tries to strike a balance between calls for improvement and too many details. Yesterday, though, Freeman put a flag in the ground. With his press release announcing his support of community schools, Freeman signals that he is willing to rise above the same old, same old conversation on education in Nashville and embrace a progressive version of education reform, one that would not financially drain the Nashville school district as some other proposed efforts potentially would. In his statement, he recognizes the issue of poverty, not as an excuse, but as a reality, and outlines a method to combat it. He points out that community schools are already being implemented across the country and producing quality results. Community schools are a means for the community to come together and address their education challenges without handing their schools over to outsiders. Furthermore, this support of community schools demonstrates a willingness to not accept the status quo and prescribe more charter schools, as is the policy of the current mayor, but instead to do the research and find ways that empower the community. Freeman is a businessman and not a politician, and in some areas this might be a deterrent. However, with the concept of community schools, he could prove to be a valued asset, since the model calls for the involvement of local businesses. His relations with the business community could very well prove to be the impetus needed to get local business to fully embrace our local school system, not just financially but through increased personal interaction as well. If you are not familiar with Community Schools, let’s see if we can’t get you up to speed. 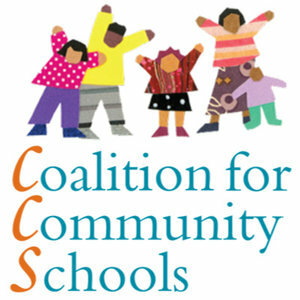 The Community Schools initiative produces a partnership between a community and a school. They integrate academics, health, and social services in order to provide opportunities for whole families. Schools remain open every day for longer hours for everyone, not just students, so that they truly become centers of the community. Businesses, parents and community members work together to find solutions to each schools unique challenges. This idea is huge because it addresses in a real-world manner many of the barriers that keep our children from truly excelling. It also puts us at the forefront of a reform movement that is being embraced nationwide. In Tennessee we take pride in our ability to lead. In 2013, Cincinnati started the movement towards embracing the idea of Community Schools. In Ohio, they are referred to as “community learning centers” because “community schools” is the legal name for charter schools in Ohio. The success is already starting to be seen in the reduction of grade retention and dropout rates and increased attendance. One example is Oyler School, a tough school in a tough neighborhood that has seen real progress by making the conversion and engaging the community. Achievement tests have shown mixed results, but they are getting to a point where kids’ needs are finally being met so they can focus on achievement. It’s classic Maslow’s Hierarchy. In New York City, Mayor Bill de Blasio is aiming to have 200 community schools in place by 2017. In part, this means committing the resources to existing schools that have already embraced the transition. Providing resources does not mean throwing money at the program; it means committing to the concept, selling it to the community, and allowing them to take full ownership. It also means selling the idea to local businesses to get them involved in the communities where they do business. Philadelphia has begun to explore the idea of community schools to tackle some of the problems they face in their high-poverty schools. Utilizing “high expectations with high support” as a mantra, community school advocates are working to bring the concept to even more schools. It only makes sense that if we can remove barriers, success will come more readily. If you don’t believe that, I’ll make arrangements to come over to your house the night before you have a big presentation at work and every time you start to drift off to sleep, I’ll slam two metal garbage lids together. I guarantee that your presentation the next day will suffer. Many of our children are rarely afforded that luxury due to the effects of poverty. Community schools can help alleviate those barriers created by poverty and empower the student to focus on learning. Here in Nashville we’ve already begun the process of creating Community Schools. Community Achieves currently has a presence in 14 schools and in the coming school year will see that number grow to 20. I have to admit, their success is a big source of pride for me because it has grown out of the incredible work done at my neighborhood school, Glencliff High School. Our community is fully vested in Glencliff and their success resonates through out the whole community. Recently the alumni group, made up of primarily graduates from the 60’s and 70’s, opened an alumni room on site so that they could be even more involved in school activities. They also made a financial commitment to furnish uniforms for the boys and girls basketball teams. There is no reason to believe that this success can not be replicated city wide. That, to me, is the essence of why I embrace the concept of community schools. It puts the onus to face a community’s education challenges squarely where they should be, in the hands of the community. There is no call for a white-hatted savior to ride in and dictate to a community what they need to solve their school dilemmas. The concept doesn’t call for the taking of public property and turning it over to private entities. A community school serves to unite communities, not divide them. The foundation of democracy is based on the tenet that there is nothing we cannot do as a collective where we all have a voice. Don’t tell that to my Republican friends – they’ll argue that it’s based on the individual. It’s not important how you perceive it. The bottom line is empowering people and communities to solve their own problems. Bill Freeman seems to grasp that concept. So often politicians tell us how they are going to solve our problems. Seldom does one promise to give us the tools to solve our own. That, I must say, is a pleasant surprise and one makes Bill Freeman a very appealing candidate. So how much did the Freeman campaign pay you to write this? Letting a billionaire buy the election does nothing for schools. Wow, thanks for the article … Anyone suspecting Bill Freeman of embracing Community schools for political gain should check with Gloria Johnson. As I understand, Freeman has been working with her to broaden this concept statewide for some time (long before he decided to run for Mayor). I know that working hard since you were a teen, having what it takes to succeed, making tons of money succeeding ethically, and giving vast amounts of what you make away(secretly) to those in need, for some strange reason makes Freeman a bad guy to some, those who know him think differently. Personal Case in point: when Bill Freeman heard about the work our family was doing with AIDS orphans in Africa, he responded with a big check but he didn’t stop there. He put us in front of several groups where we spoke about our work. He introduced us to others who he thought might be interested in helping . He sings praises of our successes at gatherings. Bottom line, yes, he is beyond generous with the money he’s made but he also knows the importance of gathering different groups of people around a cause and he knows how to sell the cause and get people involved. Apply that gifted, loving networking ability to the community school concept which he totally believes in, and, oh my goodness, public education in Nashville will rise to great new heights with a man like Bill Freeman as mayor. And that my friends, is something you can take to the bank ! Your blog was very informative. If anybody is going to save our public schools, it is going to be communities: parents, businesses, school board members, politicians, etc. We are all in this together. Just because Freeman has money doesn’t mean that he isn’t a good candidate. Other candidates have money as well.